The context of the 2040 scenarios. The 2040 scenarios focused on what will happen if the world does or does not develop the institutions and technologies to solve the easily-foreseeable problems of the time. Solutions will, however, have to at least begin to be put in place in the period to be covered by the 2025 scenarios. This paper therefore concentrates its focus on this process: specifically, what are the political dynamics that are likely to be in play in the 2025 period that will help or hinder systems solutions. Our process is to identify perhaps five key variables. Position papers will be posted on these and your comments invited. This step begins the identification of these key variables. The following is a summary of the text, provided by a member of the team and circulated separately. The team member indicated that this dynamic made him fear for his children. The world needs a number of new institutions and mechanisms in order to cope with easily-foreseeable difficulties. The leadership to put these in place will come from a club of the rich countries. Indeed, the membership of the relevant institutions and the compliance with their rules will consist chiefly of the rich countries. However, the rich countries have a number of great problems, chiefly those of social division, an ageing population and massive debt. Countries may be unwilling or unable to participate, due to domestic instability. Equally, the internal political consensus may be antagonistic to the notion of restricting choice, for which many of these institutions are explicitly set up to achieve, or to "subservience" to external forces. Implicit to this are various forms of commercial and other specialisation. Such a model closely maps onto commercial geography, and matches our sense of the limits to management in the public sector. The consequences for those who do not "fit" will antagonise political friction. Emerging economies have their own social and political transitions to make. However, it is easy to see how the Establishment consensus will be substantially to the Right of that in the current views of the West. These groups will be, if not an economic majority, certainly the voice of the middle classes. Emergent economy middle classes will outnumber the entire industrial world population by several times. This may give rise to its own forms of friction. Additionally, resources and pollution sinks will be problematic in 2025. The primary impacts will be on those least able to pay or least able to deploy technology, the poor nations and the poor in the emerging economies. Such people may find the quality of their lives diminished by 2025, whatever the ostensible economic growth. The result is predictably fractious. The political response to these factors may be general or it may be diffuse. The prospects for rapid solidarity amongst the Asian proletariat is, however, augmented both by information technology and by a tradition of communitarianism. Achievement of this solidarity could have momentous consequences. The unionisation of China, for example, would have major impacts on labour and politics in the West. Those with neither mass solidarity nor good prospects may look to other means. This may comprise deliberate political instability and the more focused and technologically-aware use of terror. This, in turn, may make consensus on international institutions more difficult to achieve. Technology is developing at an extraordinary pace. It is hard to foresee what implications its will have for all of these issues, and what new commercial and social consequences particular manifestations of it may have. It is likely that people and information systems will increasing merge within commercial activities, making some professions obsolete or changing them rapidly and radically. It will certainly make extremely rapid competitive emulation omnipresent. It will greatly accelerate the pace of competitive change. Not only will managers have new tools, but new and personally-urgent reasons to use them. Extremely successful structures will be proprietary, but physical or virtual clusters of industries and supply networks will develop their own closed infrastructure. This will impose its own disciplines, probably ration participation and exercise considerable power in the world. The scenarios for 2040 stand as a backdrop to these, more immediate scenarios. It may be helpful to review these. These are explored in relevant detail below. Most scenarios are built from crude "archetypes", which express the core ideas in unrealistic strength. These scenarios do not so much blend the archetypes as see them as being present, in differing proportions, in most countries in 2040. The nation's capital may be largely WU, but the hinterland is chiefly living in YF. What defines the scenarios is, of course,the relative proportions of these, but even more the narrative, the official value systems that is shared across similar nations, and to some extent the world. In good times, these narratives are never likely to be as overwhelming clear as was, for example, the Washington consensus – that is, free markets, balanced state books, liberal democracy - in the 1990s. In bad times, or across fractured blocks, they may be as stark and irreconcilable as the Cold War; or the 1930s. These scenarios explored two key dimensions. One is the general political, economic and technological ability to solve what we termed "systems issues": environment, economic stability, security and so forth. Many such solutions reduce to restrain, constraint and efficiency. Consequently, the second issue was how we could avoid the dead ends which this implies. Prescriptions for constraint naturally comes with major political implications. General compliance involves a shift in power. At the crudest level, the wealthy world must accept radical curbs on its accustomed behaviour, and the billions of poor aspirants must submit to a degree of external management and narrower horizons. However, the negotiating strength which their demographic and economic numbers imply, and the moral high ground that they occupy in negotiation, imply that the rich, powerful world has to cede the most. Economic stability and bubble management. Active management of a wide range of resource and environmental issues. Preemptive security in a fractured world of dangerous technologies. Social consensus around the impact of commercial competition, set against a background of intense technological and managerial change. The active management of expectations in a time of marked demographic change and shifting political weight. Employment, wages and radical changes to international skill-scarcity balances. Accommodation to new political powers, forces and values. Many of these issues are the very stuff of politics and power, and the section that follows dwells on this. This situation embodies a dangerous dynamic, however, in that the issues in need of solution have the potential to generate stark crises, and a lack of progress will precipitate the precise political environment in which collaboration is impossible. Scrambles for resources, bilateral deals aimed at exclusivity, competing security spheres and the like are all examples of such precipitating factors. Success will always require cooperation in a world that may not reward trust and openness, but a failure to collaborate is likely generate precisely the political atmosphere which creates populist politics and the pursuit of short term national advantage. The default scenario is YF: a long twilight period in which nine billion learn to live together, doing so under more and more pervasive transnational control of the choices which are open to individual lives, People in the poor nations have few bright horizons; middle income lives are bound up with restrictions on mobility, energy use and the like; the rich world is preoccupied with maintaining stability around growing demand and static or costly resources. The YF world is, of course, dotted with locations and situations where negative forces have taken over. These are dominated by populist voices that denies the need to change and the right of others to impose their views. The local narrative demands protection of local interests, such as national status, commerce, employment. If these views predominate in the international arena, then a significant fraction of the world will drift into the probably irresolvable world of N&F. This is dominated by short term accommodations, increasingly erratic supply costs and sharp economic discontinuities. The poor world is quickly and fiercely affected and, in some cases, this drift may turn into a catastrophic and rapid downturn for even richer and more established nations. A significantly N&F world would skirt an aptly named archetype: Fearsome Chaos. The world of Waking Up is innately difficult to envisage. There are two reasons for this. First, if we could somehow describe it in detail today - as if Victorian England could in detail foresee the technology of today - then we would start to put it in place. We have, however, yet to invent this future. Second, it is always far easier to see how things will go wrong than it is to imagine the leaps that transcend our current limitations. The old prophesy on London being choked by mail men and messenger boys failed to envisage the telephone. That said, in 2040 we will have something around 60 times as much deployable science as we have today, double to triple the trained global work force and a commerce that is using tools as distinct from those of today as those of Victorian England. Consider, for example, information systems that completely immerse the workforce, "understand" – or perhaps actually understand – what the firm is about and guide people to collaborations that they could not themselves have envisaged, and which the machine system could not itself create. Apply this in government, in policing, in law: intensely positive and negative uses can easily be envisaged. These are potent tools that can be used badly or well. In WU, they are used well. Their use is restricted to groups and domains – physical or electronic – within which they can flourish. These are restricted precisely by their ability to handle the relevant complexity, one part of which is restricting negative use. There are, of course, magic bullets – for example, fusion energy – that we can envisage; but the sad fact is that these will often take a long time to implement at global scale. WU is, therefore, restricted in its early stages to limited locations, to elite industries and corresponding social groups. It is questionable whether it is relevant to the current exercise, save as a guiding beacon, serving as a principle more than a practice. That said, it is worth thinking as to how technological progress has already developed. Three areas seems to be going forward with particular speed: biology, materials science and that nameless collision between psychology, information technology and knowledge. Fundamental physics is in conceptual turmoil. This is not the place for a full review, but sensors can now watch up to seven thousand genes turn on and off in real time. There are plans for a device that can register every gene in the primate cell, within a single cell, without killing it. It is expected that next year will see the ability to sequence a human-sized genome for under a thousand dollars. The general wiring diagram of the mouse's brain will be known at a cellular level within two years. Treatments that repair retinas and perhaps bud new teeth are in trial; and so forth. Huge arrays of data are being deployed to find out what works and what does not, what predisposes us to diseases and to immunity from them. Materials are moving into a magic phase in which lenses can be made from flat sheets of glass, catalysts can be built from the ground up - and perhaps powered by electrical current rather than heat and pressure - immensely strong, light structures become feasible and we enter a world in which transformations occur in small plant, tailored to the current task, rather than vast semi-cities dedicated to one reaction. The term artificial intelligence has been over-exposed. We already have structures that act purposefully and independently, but they are useful only in limited domains and have to be addressed in their own terms. Natural language interfaces coupled to expert systems will be mature in ten years. Moore's law extrapolated gives us a laptop with human level processing power in 2026, and the processing power of the human race in about 2030. It is not unlikely, therefore, that what we now see as cellphones and tablets will become aware of their owner's general situation aware and able to hold conversations and dispense advice. The WU premise is that this may become supra-human (if not super-human, an issue beyond this document) and capable of undertaking broad domain management tasks, including guiding everything from a child's up-bringing to bringing about innovation within a corporation; or a myriad of tasks in the state. The scenario period is one that offers irrevocable paths down which the world may choose to walk, or more likely blunder. This is ahistorical, in that humans made their mistakes, nations feel and cities burned, but after a decade or so, people put thing back together and nature continued to supply their needs. The nearest we have come to such a situation was the nuclear balance, and the defusing of this. We are still able to fail in a safe way on many topics. Nevertheless, the intense dependency on systems and technology is such that increasing parts of the industrial world are mission critical. As was once remarked: "Technology is our Irish potato" - if it fails, we starve; and quickly. In other areas of a systems-related nature, a mistaken path taken in the scenario period will lead to intractable problems. The energy-climate-security triangle is one such structure that has virtually endless ramifications if mismanaged. Food-water-landuse-trade is probably another; as is management of the oceans. The period to 2025 will lay the groundwork for resolution of these and many other, more transient, issues. If we can see these issues, why can we not address them? There are three fundamental reasons for this. For "us" to solve them, we need a collective political identity that does not exist. Our political focus is overwhelmingly concerned with national or sub-national interests. The electoral system and decision-taking mechanisms in the democracies is pragmatic. "Courageous decisions" do not much attract votes, notably about issues that few members of the public recognise, but which bring with them substantial and tangible costs and personal limitations. Policy makers often lack practical solutions to put in place. They may be limited to statements of intention or general declarations. No one nation can drive issues such as maritime resource management, and international institutions are easily dominated by those who want the resources now, not a thinner stream of more costly resources, delivered later. The "fairness" built into international institutions – that all nations will have a stake in satellite orbital real estate, broadcast bandwidth or ocean resources, for example - also plays against the interests of the powerful. Where interests diverge sharply, conflict drives individual powers to seek unilateral advantage, not collaboration. What solutions as exist are frequently neither attractive technically nor economically, notably in energy and farming. If they were attractive, of course, they would spread quickly, through market mechanisms. States which impose solutions accept a cost, or a risk of failure, and also have a hard task imposing such solutions on other nations that cannot afford them. The tool set to manage some problems – for example, low intensity urban conflict – may simply not exist in an effective form. Ambitions, such as the reshaping failed states, may be limited to amelioration; or states may have to understand that there are limits to what can be achieved with current tools. As noted in the previous section, solutions imply a loss of power. Major nations prefer that this should happen amongst their peers, with whom they share similar values and goals, if not perfect trust. This in turn points to likely solutions tot he above issues coming from a "club" of capable nations and other actors, rather than from a universalist approach. This underpins a general trend, which is the growth of the influence of elite groups and, in parallel, the much faster growth of the general awareness of this influence, often extended to wildly spurious levels. There are three strong reasons why many industrial world populations are becoming estranged both from their elites. Net revenues from commerce are, by definition, split between workers and investors. Organised labour was able to squeeze capital for a significant part of the last century. However, this trend was reversed from the 1970s onward, chiefly as mass manufacture declined and the high skilled service sectors took off. The lower skill cadres have suffered often considerable decreases in real-term wages. In part, this is due to disappearance of low skilled jobs as a result of automation, re-organisation and general productivity. The internationalisation and outsourcing of manufacturing has, in particular, had a major impact on such groups. Many once permanent low-skilled jobs have been transformed into part time work, and workers are frequently employed by agencies rather than by companies, Migrant labour has had a major local effect on the wages of the self-employed. Construction, the last redoubt of the low skilled, is a notoriously cyclical industry, amplifying economic instabilities. Middle incomes have remained static in real terms, or have risen only slightly. The middle classes did, however, appear to prosper during the 1990s, when house price and other asset inflation allowed them to borrow heavily. These were used to pay for aspirations that were, in practice, beyond their pocket, and saving was neglected. The financial crisis has brought such borrowing to a near-permanent end, and has left many with debt that they are hard pressed to service. Set against this, the high skilled, upper reaches of work of this have done very well. In the thirty years to 2007, the top 1% captured 58% of income growth in the US whilst, as indicated above, the person on an average income captured a negligible 1.2%. There has been an unspoken consensus that the state would take care of the bulk of the population, leaving elites to get on with what they do best. Some countries achieved this through taxation on the wealthy, but many supplemented this with state borrowing. These are now unable to continue to borrow - or are borrowing to service their debts - and as a consequence are having to cut state employment and subsidy. In the face of major demographic change, such retrenchment appears to be permanent. The European approach to welfare arguably entrenched the culture of entitlement and claimancy, founded on a more communitarian ethic than in, for example, the US. Europe also has considerably worse demographics than the US, Nevertheless, a sense of betray appears to be common to most industrial countries. The well-paid job today requires much more of a worker than did the industries that absorbed unskilled labour a generation ago. The skills that are required are both deep and complex. People are required to swap task domains (IT, finance, marketing in the course of a morning) but also to display collaborative and related abilities. Such skills take a while to develop and young people find it hard to enter the work force. This has two effects over and above than simple exclusion of those who are unable to engage. Individuals who are focused on a purely technical skill tend to hit an impermeable glass ceiling at around 30-35. Their technical skills are often sourced through third parties who have no vested interest in training, insofar as they can easily find new people with new skills. Agency workers may therefore find themselves simultaneously obsolete in their current job and unable to move upwards. Second, people who do combine all of these skills are extremely rare, and as we have seen, usually command high salaries. Politicians are well aware of the requirements of industry and the need for perceived good financial management of the economy. Many countries have ceded monetary management to central banks. This makes them appear to be "only interested in the elite" in the eyes of the general population. The fact that many display the mannerisms of the elite, have been to elite schools and are often married to or related to elite individuals adds to this perception. “They” are all in it together, against the interests of “Us”. Concentrations of personal wealth have expanded very considerably in the past generation. Billionaires are everywhere in the emerging markets. Formal Qatari income per capita, for example, sits at around US$100,000. However, the distribution of this is very unequal, and the median middle class income is thought to be slightly less than half a million dollars per annum. In other countries, income disparities are extremely high and expanding rapidly, as driven by the middle class aspirations that have already been discussed. In the old rich world, taxation is of course progressive, and the top 30% of earners pay to support the rest of the society in virtually every country. The remaining seventy percent cost more to keep than they generate in added value, once services such as education and health are taken into account. The state disburses about half of all value added, with greater or less efficiency. In many countries, political parties use state jobs and state subsidies as a means of reducing unemployment and, frequently, keeping their supporter groups content. Many not very useful jobs are done not very well under this peculiar custom. This tendency is plainly at or over its limit, for all of the reason given above, and further expansion is not feasible, Indeed, the forces of competitions may reverse the trend of the past thirty years and drive this proportion down. The consequences of this is increasingly articulate dissatisfaction with the current model. This is beginning to translate itself into political terms, with the elite as the custodian of the standard commercial model and “the rest” of the various nations as the critics of this. We will return to the consequences of this somewhat later. This trend is expressing itself at precisely the time when competition and technical change is likely to increase sharply - all of those warehoused projects from the financial crisis, all that untapped science - and countries that abandon economic logic are very likely to miss major opportunities. 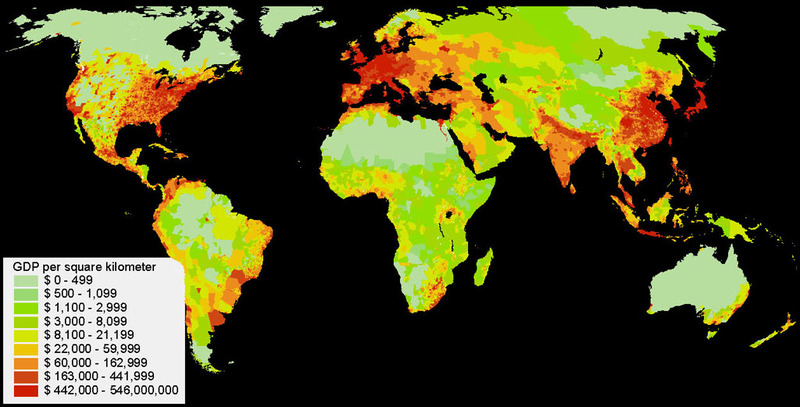 The figure shows a careful estimate of commercial value added per square kilometre of terrain. It is hard to discern a national boundary in this. The US, for example, runs much of its continental interior at a deficit, heavily subsidising farming and related activities. Large swathes of the developing world show high added value per square kilometre, of course diluted by high population density to low per capita income. The point to be taken is that every country is a patchwork. Cities are the centres of added value for the most part, and the country is a commercial desert. Several important messages come from this. First, national solidarity is - increasingly, perhaps - a convenient fiction. Central London has much more in common with New York, Tokyo or Frankfurt than these have in common with their rural hinterlands. This would not matter so much of these centres did not have to specialise and to polish themselves in order to compete. Clusters of capability give major commercial advantage, and forms tend to co-locate with their primary competition. These centres need to be crime free, clean and attractive, and property values are always high. Elite centres need to feel and be elite, and are increasingly exclusive to those in their host country who, in the terms discussed above, cannot play in these games. Second, it is the demands and necessities of the commercial network that sets the rationale for these centres. That is, there is a shadow "nation" of pharmaceutical companies or car makers that require certain things to be true along their supply chain. It is not so much that they set out to to dictate their terms as to point out best practice and wait for local interest to comply. They are, of course, highly mobile when considered in the sub-decade time frame. As we shall see in a moment, similar processes are running within national governments, analysing what must be if best practice is to be achieved. Third, when we think about "emerging markets" it is not whole nations such as China or India that are emerging, but specific foci of competence within them. In China's case, it is a few hundred million people out of the entire population who are actively engaged in economic emergence. The corresponding figure in India is much smaller. These people are a new and increasingly international middle class. They are fiercely focused on getting rich and on promoting the interests of their families. Their values are set by this: not at all communitarian, but competitive, independent, pragmatic, wary. There will be more of these people alive and active than the entire population of the OECD by 2025, and their values are not the values of the European enlightenment. They are, however, tirelessly engaged in building the sorts of networks that we have just described, and in developing means to squeeze what they can from the workforce, whom they view through plate glass or out of moving limousines. It is pretty clear that this environment will generate political friction, both with the industrial world and the emerging economies. There are, however a few more embellishments that we need to explore before we get into this; and then move on to the question of what that says for the prospects of grand accommodations around the systems issues with which this began. Many industrial world nations – notably Japan, Italy and Germany, but many others – have a profound demographic shift coming upon them. In Europe, Italy has by far the worst demographic profile. Nevertheless, the power houses of Europe also face a difficult transition. France and Germany have more than four people of working age for every pensioner today. However, by 2050, this ratio will fall to 1.9 in France and 1.6 in Germany. The state has made generous provision for pensions, but has not always funded these. The European Central Bank estimates that current shortfalls in pension funding amount to 30 trillion euros across nineteen EU countries. This is about five times higher than their combined gross debt. Germany accounted for 7.6 trillion euros and France 6.7 trillion euros of the liabilities, or about three times the size of their respective economies. This situation has two consequences. First, as already noted, states will have to divert funds from general welfare and other projects to supporting old people. This will have political fallout. Second, the economic potential of these countries will be hard-hit. One should note that this is also the case for China, perhaps lagged by five years. Demographics also imply something for the political narrative of the time. Elderly people are, naturally, uneasy with change and instability. To generalise hugely, they are more likely to support political parties that offer welfare and support – and accept the consequent economic loss – than those which preach balanced books and economic expansion. The Japanese communal narrative seems to have changed in this way, for example, offering a marked shift away from the ethos of the 1960s, which was that of a nation in which individuals strove less for personal gain than collective achievement. There is now a sense that "enough is enough", and that a quiet retreat is preferable to salaryman slaving. In summary, the mixed economy, welfare plus markets consensus has worked well for the industrial countries for two generations, but is now in trouble. If it is not yet broken, it will require major maintenance if it is to allow for relatively consensual politics to continue. However, much of the population feel vulnerable to global events, and are far from keen to subject themselves to the policies and values of others. We began by considering how internationalism will fare in this difficult period. The next section looks in more detail at possible political trends. 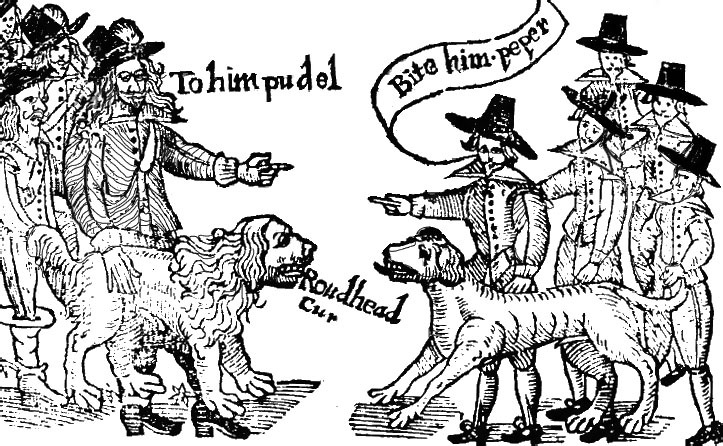 It was said of the English civil war (1642-1651) that the Parliamentarians were right but repulsive, the Royalists wrong but romantic. Economic rationalism and pragmatism, married to systems management, is clearly right but, to much of the population, repulsive. Romantics that they are, they want things put back they way they were, with the money just, well, being there. The more enquiring tend to talk about "taxing the rich", as though this had not already been thought about. In the US, ever-contrarian, the dependent tend to fall into two camps, one demanding higher taxes and the other, lower. Curiously, people who live in the states receiving the highest subsidies tend to be most against taxes, cities and generic sources of wealth. The poor who live beyond the industrial world have yet to see themselves as a class, or organise themselves seriously into unions, political parties and ways of expressing group solidarity. Indeed, for the most part yet to see their specifically economic common interestsas being more significant than ethnic or religious forms of self-classification. This could, however, change extremely quickly, Modern IT has fully permeated the poorest villages – Internet cafes with chickens on the floor – and the potential for international group solidarity exists in embryo. It is extremely likely that such a movement will emerge, much in the manner of the "Arab spring", but with more coherent goals. This is notably so in Asia, where mass employment is common, and the issues of economic exploitation are self-evident. The primary effect of this would be to force up costs for the rest of the world and to give new strength to labour movements in the rich world. ("Now they need us again".) The secondary effect would be to pitch the new middle class against the proletariat – by no means all of the poor people in the region – in political battles that reprise the 1870-1960 period in Europe, but compressed into a decade or less. The political classes are, at present, divided into what might be called the Establishment, the Populist and the Technocrat. Today's Establishment politicians live within a closed world of the bien pensant educated elite, working to assumptions of a social and economic model that is under all of the threats that have been discussed. They "protect" the electorate from its own worst tendencies – xenophobia, punitive sentencing, obesity – and have a range of ideas about social liberalism that are heading for a collision with the emerging middle classes of, for example, Asia and Latin America. Nevertheless, in the media and in politics, this group has had a long run of near-dominance. The Establishment politician is expert at the machinery of government: of an offer here and a tweak there to get the right votes in. Winning is everything, and managing the machinery and handling your people is the essential way of achieving a win. The Technocrat is a new breed. They note scarce resources, jobs to be done and tools with which to do them. They seek utilitarian outcomes that are based on objective best practice. This, in turn, seemingly removes many issues from the political realm. This perspective maintains that how best to carry out this or that operation in a state funded health service should be set by evidence and objective facts. This should also be true of central banking, and such was the ambition of politicians who freed their bank to manage the currency through measures of money supply and capacity utilisation. Few would now call central banking "apolitical" in today's environment, however, and most regulators would agree that whilst the evidence matters, so too does presentation and expectations. That said, the Technocrat knows no limit when it comes to optimising. Prevention is better than cure, so where a cost to the state can be avoided by preventative action, this should be a matter of directive policy. Citizens should not smoke, get fat, have children that they cannot care for, be allowed to live lives of careless irresponsibility, insult others, discuss issues that can be construed as racism in public, fight or otherwise risk harm to others and costs to the state. Children are a particular focus, where parental responsibility is increasing – shall we say, supplemented – by public scrutiny. It is hard to argue against any one of these worthy ambitions. Consequently, piecemeal and with an irresistible one-way ratchet, public life is shaped into the model of which the Technocrats approve. The mark of the Technocrat is a subtle, creeping plethora of regulations that entwines public and private lives within a trellis of regulation and overseers. The Populist has existed for as long as we have had politicians. They are almost the inverse of the Establishment. They regard themselves as people of conviction, fighting for the interests of their group - sometimes "the people", sometimes a specific group or class - against the elite; or against other social or ethnic groups. What distinguishes the Populist from the mainstream politician is, primarily, the crudity of their platform and the predominantly negative nature of it. They attribute all problems to one element - immigrants, The Enemy Within - and press for the extirpation of this. The ramifications of what they propose, the reality of the diagnosis or validity of their prescription are not open to discussion. Indeed, anyone who seeks debate is either an agent of the enemy or somehow unworthy, predatory or corrupt. Populists love nebulous phrases that seem to justify their agenda – who could be against "social justice"? "our children's children?" – and they tend to think and talk in terms of broad blocks. It was the Marxists who invented the notion of the 'class enemy': that is, someone who can be identified in ways that make them into a class: the class of intellectuals, atheists, workers, capitalists, rich peasants and so forth. Each of these comes with generic faults and prescriptions: expropriate, kill, re-educate. Industrial world populists tend to offer less extreme prescriptions, but the rationale is the same. The next decade will be unkind to the Establishment, promote the Technocrat and offer boundless opportunities to the Populist. At stake will be two questions: first, how do we generate the wealth that we need for redistributive goals, without killing the very sources of wealth? Second, who is this "we" that is making this choice? What rights to people have over the pockets of others by virtue of living in the same arbitrary chunk of geography? A quick glance back at the value added map will show the reader what this means. Political boundaries have little to do with economic realities. Now repeat the exercise for New York, London or Shanghai. Technocrat, Establishment and Populist values get you very different answers. However, recall that this is a world of many forces, not the least of which is intense competition and radical erosion of the status quo by new technology and new ideas coming from a hundreds of millions of trained minds. The Repulsive and the Romantic will have to fight this out, in a hundred grisly political battles. Now, let us go back to our first question. In this period of transition, how much hope is there for at least the start of a revolution in international institutions? For a 'Waking Up' transition to new technologies? What hope for Africa, with 60% of the world's population currently under 16 years of age? What are the prospects for disaffected groups getting their hands on the dangerous technologies of 2025, when biotechnology will be that more generally available and training a commonplace? There are, plainly a large number of specific questions that one can ask, but the art of scenarios to defining which are the ones that truly matter, and which of those have any sort of answer. Here is a provisional list of what could be the essential issues. First, we list a series of important events or questions that are less trends than outcomes. We need short descriptive papers that explore the implications of these. Second, we summarise some of the trends that emerge from this text, and from wider considerations. Major political change in the Arabian gulf, from effective union - under popular movements, as the Califate? - to centripetal fragmentation. What implications would these outcome be likely have? What is the range of options for the ultimate fate of the Euro? One can think of many outcomes: a rump, from which Germany has left; a unified core with a satellite periphery of countries seeking to re-enter; to a dissolution of the Euro and a reversion to the Exchange Rate mechanism; to its overall abandonment. What are the possibilities, but more important, what are the consequences of these? China, and to a lesser extent India, have major sociopolitical transitions to make. What does the official future look like for each of these, and what are the other credible modes that it is possible to envisage? (For example, the rapid spread of integrated unionisation, as discussed above.) What are the mechanisms that would tend to bring these about, and what would be the implications of these? The next ten years will make it clear whether, how strongly and how rapidly climate change is going to occur. What are the implications of major, rapid change in weather patterns, and what are the political implications of a no-show? What new technical capabilities would change the economic outlook, and which would offer such potential that their impact would be felt more through widespread anticipation? (For example, fusion: really, cheaply.) To put it another way, what problems would we like technology most to solve for us in this, the medium term; and what would be the implications of their solution? Are there what might be called philosophical discoveries which would change our outlook as - say - did Darwin, Freud or the slippery physics of the early twentieth century: quantum uncertainty, relativity, the utter vastness of the universe, the essential emptiness of what we call solidity. Organised rage: There are groups around the world for which life will plainly be getting worse. The most obvious of these are the urban poor, for whom high costs are unlikely to be met by higher wages. Urbanisation will increase sharply in the next ten years. A generation in Africa and central Asia will see little prospect of formal work, and will be immersed in a culture of blame and hopelessness. Attempts to predict the exact shape of incoherent anger are usually pointless, but it may also be worth considering what machinery may attempt to harness this energy, and to what ends it may be used. Terror used as a tool by sophisticated and cynical quasi-criminals or would-be dictators is a frightening prospect in this world, a prospect that may find considerable resonance in the disaffected of the industrial world. International institutions: These is much to criticise in respect of current international institutions. Their founding ambitions were, perhaps, overly general and participative for the tasks that actually need to be done. How might these change in order to meet the challenges; or might they in fact be better sidelined in preference for a new set of structures? What thoughts already exist in respect of this? Decision-taking works best when handled at the right scale, a principle known as subsidiarity. Already, much policy and decision taking does not occur through national statute law. Instead, some policy is set by the actions of higher level structures, such as international accords and courts, entities such as NAFTA and the European union, or bodies such as the the WTO. Below the national level, we also find state legislatures and city governors. Operating in parallel to legislatures we have regulators and central banks, or judges generating case law. Beyond this, we have policy being made for politicians by media pressures, popular enthusiasms and panics. The result is an accelerando of activity that is usually less than coherent and impossible for the individual to understand. The exponential pace of this suggests that the need for a general restructuring will come to be be recognised. The increasing divorce between the life experience, values and expectations of capable and the less able, between the rich and poor, is likely to continue. In the emerging economies, the (extremely numerous) elite is entirely happy with social divisions. Inequality has generally widened rapidly in the two decades. The same gap is also growing in the wealthy world but, until recently, it has been obscured by debt, by free services and by welfare. The less capable need the elite, but they do not love them. The elite, however, tend to see the world through the prism of commerce. Intensified competition is an almost certain element of the world ahead. The response to this will continue to be streamlining and specialisation. This will also be expected of the working environment: that is, cities and regions will be encouraged to play to their strengths. Many of the "working environments" will be virtual, and entirely invisible to those not engaged with them. Economic or structures that are built for a single, clear purpose tend to resent elements that do not "fit". A society that sets itself great goals resents frivolous people. A company that has focused itself on one goal tends to shed elements that do not contribute directly to this. In commerce, we speak of this fit as being the "core", and we respect the need to out source whatever is not core to other, external agencies. Although this is a fine response when the problematic activity is something like factory security or laundry, it is less acceptable when the distracting elements are people. That is, the needs of the commercial equivalent of total war simply do not gel with the view that societies are there to provide the community with a comfortable home, and that commerce is secondary to this. However, the most likely model that we will use to manage complexity is precisely that which will lead to an equivalent to commercial focus on the core focus. There is a right size through which to be agile, purposeful and manageable. Such structures may be the innovative, path-finding economic force of the future. These might be the focus for Waking Up. Certainly, those excluded from them will live with a major hurdle to overcome. Traditional politics finds equilibrium though drawn out phases, each dominated by this or that view. Extremely complex societies, embedded in a world of unprecedented change, simply cannot operate in this way. The time frames are to short and the penalties for muddling through are too great. Policy needs to be founded on solid analysis, not least to resist the distractions of extreme voices and populism. There is almost certainly a need for apolitical processes of policy formation and evaluation, the territory of the Technocrat. However, Technocrats are not loved and are hard to elect. The habit of analysis and contingency planning therefore to be liberated within the various engines of the state, running professional processes across silos, administrations and distracting events, The fruits of this in turn need to be embedded in the policy formation process. However, policy formation has been the prerogative of political parties, not the state. It may be that we are at the twilight of political parties. Issues are simply too complex to bundle into two sets of ideas and values. Parties are an electoral convenience and a career structure for politicians, but they are not an effective response to today's complexity. Indeed, they came from an age when a representative was put on a horse to go off for months at a time in order to defend the interests of his or her supporters. These are not the needs of the modern age, and we may, therefore, need to evolve some (unknown) new structures of representation and policy generation, and do so rather quickly. Emergent economy social change: Fast economic progress in the emergent economies has not been matched by social change and new political institutions, There exists real potential for disruptive events, particularly in the great aggregates such as China and India and in rich areas that are ruled by tiny elites. More generally, however, the new middle class are remarkably similar across geography, whether they live in the Arabian Gulf, South America or Asia. Their attitudes are not those of the Western establishment politicians. There is, as yet, no similar working class transnational solidarity, but there is every reason to imagine that this could be brought into being as fast as the Arab spring or the velvet revolutions that followed the Soviet collapse. A well-articulated idea will fly on strong wings in 2025, through skies shaped by the extraordinary social media that we can anticipate for the period. Energy and resources: The period around 2025 will be increasingly short of raw materials. Whether or not we have hit "peak" this or that, demand is set to grow very considerably, but in general, regulatory and other uncertainties have curtailed investment. Costs are almost inevitably going to rise for virtually all commodities. Supply-driven inflation will be a fact of life, and most primary supply chains will tend to erratic behaviour, to spikes and to attempts at capture or cartelization. What general effects this may have, and which industries are most likely to be seen as the cause or affected by the consequences may be worth study. So there we are, as a first cut. Please feel free to write in with your comments, with things that we have missed, with your endorsement of issues to develop and suggestions for issues that we have missed. Many thanks for your participation. Excellent paper, thank you. Your thesis is that if the wealthy countries can't regain a political consensus and trust in their institutions, then there is not much hope for broader things. You also say that regaining such trust is going to need restructuring of those institutions. They need to get more focused and understandable, and to work in layers so as to partition things. Of course, that isn't going to happen if the people aren't happy. They aren't happy right now chiefly because thing go worse for them, and show no signs of getting better. No mainstream politicians are calling for anything but generalities - what I mean is, there are no prescriptions on sale that look pleasant. There is a general feeling that terrible things could happen if we don't just tiptoe around the problem. The deep issues, though, is that this was a silent crisis that was concocted by elites in ways that make no sense to the average voter. Politicians seem to be the same kind of people, and seem to be protecting the elites when they propped up the banks. So: Them and Us. My question: can we restore trust without resorting populist measures? Not without damaging our economies, perhaps greatly. So that implies a general and lasting loss of trust from a whole class of people towards their own institutions. See here for a US example. Your topics are pretty wide, I endorse all the first group. Of the second, I think that anything we say about international institutions will (a) b ineffectual and (b) have been said already. The overall thesis seems to be managing what you call the "less able", separately in the rich world and the developing and emerging economies. I am not sure that this is correct. It might be better to address the short issues, see what we find, and then think again about this. And yes, energy and resources, but have we anything new to say? This is pretty bleak. You make some gestures at optimism, but there is no sustained attack on how to get to what you call Waking Up. Yet all of the amazing potential is going to get realised somewhere, and the issue for us is plainly where and how. So aside from all the negatives, don't we also need a bright side? I want to know where and how the great stuff is coming. Are there general rules? Is it the result of the state spending a lot and then capital picking it up? Or does it come from ingenuity - the "World War II naval spending makes Silicon Valley" model versus the "Apple in a garage" model? How long do you think - do we think? - that the financial crisis will go on? It can obviously be protracted if the Euro goes bad, or perhaps more if it fails to 'go good'. After the crisis, though, the new horizons may be stronger than your text suggests. Say is takes ten years, getting better in 2017-20, that's ten years of research, of mothballed plans, of company cash reserves, of consumer demand just sitting there and waiting. We could have the boom of all booms, quickly limited by supply-side inflation. I like the Short Items on your list. The other sounds too much like a political science course. The issues are right, but are they too much for now and not enough for 2025? The one area we in Long Finance would consider to be missing in the analysis is the change in the monetary system. From 15 August 1971, we have been living in a different, and in my opinion unstable, new era of money. "The main thing we miss today is universal money, a standard of value, the link between the past and the future and the cement linking remote parts of the human race to one another...The absence of gold as an intrinsic part of our monetary system today makes our century, the one that has just passed, unique in several thousand years..." - Robert Mundell, 1999, accepting the Nobel prize. The underlying theories - Keynesian or Friedmanite - tend to be far from the theories of those in the markets, more Chartalist or, if academic at all, Austrian. Study topics: I strongly commend the study of how current economic systems may transform themselves in the next decade. One can hear the crumbling of the consensus model all around us. So what will replace it? One text based response provoked a long exchange of e-mails and a telephone conversation, some of which has been written up as a separate web page, as it is so long and so complex. In essence, the paper addresses three central topics. First, to show how the current consensus can be attached by other economic models with very different prescriptions, we look at Chartalism. Second, the text reviews the Swiss model of alternative banking, something which your editor had never previously attributed to the Swiss. Third, the text offers some further reading. There are comments attached at the foot. So far, they wonder "to what problem is this a solution?" What can precipitate change that is useful and change that is the opposite? You ask this question, and I can easily see how the present carry these seeds of change. What I do not see is how it is easily made "useful", by which I mean, managed by people who are rightly aware of what is at stake and what solutions look like. An abrupt break in the present leads to all kinds of futures, not all of them "useful". In the light of this, you may find a recent book useful. Debt: the first 5000 years (2011) is a book by the anthropologist David Graeber. He traces the notion of debt as perceived by anthropologists and archaeologists, noting that at no stage were societies ever primarily or even largely based on barter. Rather, there might be hosts of currencies in play, often of a highly specialised nature, but that tightly accounted debt was omnipresent. In many societies, people got themselves into "debt peonage". Huge debt mountains could bring economies to a halt, and could frequently precipitate social and revolutionary political change. Kings were required to cancel all debts in order to get economies running again, and event in Sumeria which gives us the word "jubilee". Graeber is not a friend of the status quo, and the book is a polemic against the incumbent market ethos. In particular, he notes that if the essential underpinning of economics revolve around the idea of exchange, equilibration and benefit maximisation arising from the generalisation of barter. If we can find no examples of barter civilisations in the records left to us, how can we believe in these notions? Economists would, perhaps, reply that nobody since Adam Smith has really seen economies evolving from the ape of barter to the Homo sapiens of complex instruments. We have long since migrated from a cold world of perfect equilibria to the likely outcomes of mass trends, of huge numbers of aggregate transactions as the theoretical basis for economics. Turning to the wider questions of what to study next, I think all the first section issues are are good ones. I think we need to consider alternative economic systems to the default market capitalism. I am not sure about the detailed political assessment: not sure that it can be done, rather than not sure that it would be interesting to try. Someone else has said let's come back to that - I agree. I also quite like the "organised rage" idea. International institutions is a big greasy block and I don't think we can do much that is useful now, although the scenarios themselves might generate prescriptions that are new? Graeber says that: "All economies, even our own, are human economies, since the exchange of goods and services is still really just one subordinate moment in the process by which people shape each other and create meaningful lives—even if we often seem to lose sight of this. This latter sense is closer to the way anthropologist like Keith Hart speak of "the human economy." "One of the more pernicious aspects of our contemporary political order that anyone who wants to run something, even a charity, is expected to receive training in, and operate within the logic of, an economic approach to human affairs that assumes everyone is basically greedy and selfish. When you live in a small community it quickly becomes apparent that many of the motivations that everyone seems to feel are central to communal (and therefore economic) life are ones that economics has no place for at all". There are a huddle of us here. We want to go for "organised rage" because that is our biggest headache. Everything civil is really set up for external threats and natural disasters. The military are organised for the same, plus some civil repression preparedness. What nothing is set up to handle is fancy schemes cooked up at home. We can think of lots of things that a group that wants to get publicity or just throw spanners in the gears could do easy. Let's hope that those who can also think these things are not motivated to do them. Lots of good stuff in Short Items as well. One general extra comment. You go big on nations breaking up, or getting local. Here we have been a federation of states for several hundred years. Our cities have powerful mayors, our states their own government. This works fine, and why would it change? Perhaps too many Europeans in your team? It can be that you have not taken full account of your own ideas. What happens if meritocracy really becomes the rule? In Asia, we do not take too much attention of the mass of people. Yes, democracy, but that is a mass movement thing and the details of policy come from the educated people. If you are able to speak sense, and if you are respected by others, you get heard. That is not true in the West, and from outside it looks like most of the West's problems come from this. All this anti-this and that is people who just want to make a noise, want money from the government or expect more than they are worth. I am not being rude about the population, just saying that they want more than is realistic for what they can offer. If a man in the US can do no more than a man in India, why does he get whatever it is, ten times what the Indian gets? It is nonsense in the long term. It's just like the Euro - not a bad idea, but being dragged down by the countries that cannot keep up. But that leaves me wondering what happens to democracy in the rich world. We have just seen Greece vote for itself a nonsense government. Here though we control what political parties are allowed to stand in an election, so that only sensible ideas get into policy. OK, you say very undemocratic, what about The People. But is the people are hurting their own interests, what about the people? You say - silly undemocratic man. But your good paper says, this is at least one thing that the West may have to do if it all gets really bad. Then the big question is also, knowing what to do. Paper does not talk about economic results in 2025. You kind of assume it gets back to where it was. But lots of things can be very bad. Even the US government could not fix banks if consumer debt goes bad - many, many trillions. Then you get Hyper Inflation, whether you save banks by printing that kind of money or if you go for Inflation on purpose, to make debt then tiny. This is just example. So if West and World maybe in crisis, lots of things change. last big recession gave war. If not war, though, still big changes in how we govern, maybe? The scenarios need to think about bad things. You said somewhere about Fearsome Chaos - that's a good name. I find the discussion somewhat centred on the "old" rich world players. Here is an interesting article on how the emerging economies are beginning to react to this through attempts to escape the dollar hegemony - and dollar denominated debt. It reports a meeting of the Shanghai Cooperation Organization (SCO). The alliance is comprised of Russia, China, Kazakhstan, Tajikistan, Kyrghyzstan and Uzbekistan, with observer status for Iran, India, Pakistan and Mongolia, Brazil, India and China. These intend to trade in their own currencies so as to get the benefit of mutual credit that the United States until now has monopolized for itself. China has struck bilateral deals with Malaysia, Argentina and Brazil to denominate their trade in renminbi. Mr. Medvedev said that the artificially maintained unipolar system is based on one big centre of consumption, financed by a growing debt, one formerly strong reserve currency, and one dominant system of assessing assets and risks. At the root of the global financial crisis is that the United States makes too little and spends too much. When the United States left the gold standard in 1971, central banks were left without the traditional asset used to settle payments imbalances. The alternative for creditors was to accept US Treasury bonds, as if these still were "as good as gold." That is no longer true: it is questionable whether the US can redeem the sheer scale of its debt. Creditor nations now hold $4 trillion of these bonds in their international reserves. They are vulnerable to a weak dollar. If China's currency rises by 10% against the dollar, its central bank will show the equivalent of a $200 billion loss on its $2 trillion of dollar holdings as denominated in yuan. Mr. Medvedev said that what is needed are financial institutions of a completely new type, where particular political issues and motives, and particular countries will not dominate. 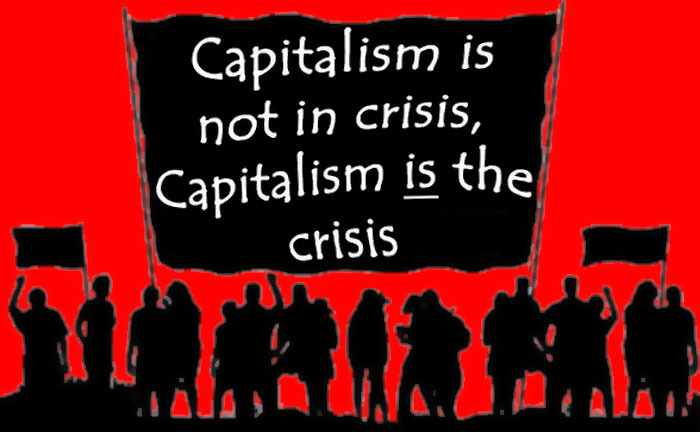 I have myself been giving attention to the more intellectual side of the anti-capitalist (and usually anti-US) movement. You may like to review the ideas of Prof. Michael Hudson. His output is prolific, but his most recent book "Superimperialism" proposes that the US presides over a global empire, but that it is an empire shaped for the "financial class". What he says is, in my view, nonsense, but his rhetoric exactly captures what a large chunk of society wants to hear. In essence, he asserts that the financial class are equivalent to imperial armies, at best shaking down client societies, at worst enticing them into situations in which their assets and savings become forfeit. His prescriptions are not clear, but he has a ready audience. The model is a most elegant one. We have come to similar conclusions about the need for new institutions, designed to operate in a multipolar world approaching a climate crisis. This is the logic behind the Global Military Advisory Council. Once again, a team member felt it necessary to reply with several texts, which have been summarised into a separate, free-standing paper. The issue is political management in the face of a networked, vocal society. The text offers two outcomes and a useful prescription for progress. Here is a lengthy but informative text about the restoration of the Caliphate, mentioned above. This will be home territory for some participants and a set of completely alian concepts to others. Please contribute your views, particularly if you know more than your humble Ed. does about this issue. A considerable fraction of the relevant area is in political ferment, if not actual turmoil, and thus potentially hospitable to rapid change. Radical events around this question could be a crucial driver of - at the very least - energy futures, and more probably of the global financial system, of regional and international stability and of general foreign affairs. 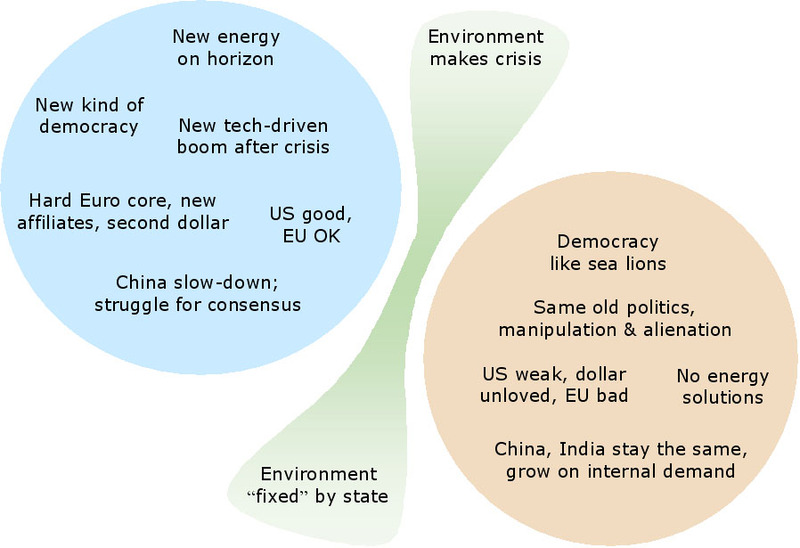 The kick-off paper points out many of the issues we are considering about the future. 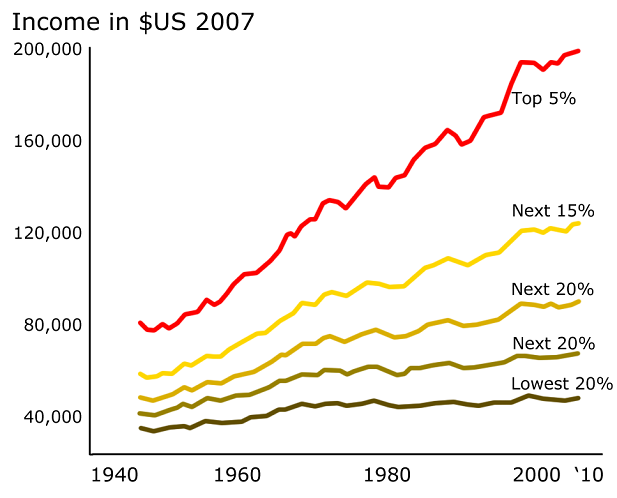 In particular, I am interested in the issue of growing income inequality, and how we might tackle that. Technology will create even more winners-take-all markets, with the gains from economic growth accruing to the few. There will also be a growing disparity between the aspirations of what would have constituted the "middle class" and the opportunities available. As highlighted in the paper, it would be relevant to ask what redistributive mechanisms would be in place to cross-subsidise groups. I tend to agree with the pessimism in the paper towards our existing political structures. We see how governments around the world are being rapidly delegitimised to the extent that the government of the day in many countries are no longer whom the people trust, but whom they hate the least. The fragmenting of societies across various lines means that there would hardly be a single party which the majority can agree with on most issues. I wonder then if there might be redistributive mechanisms that would exist outside of the government's ability to tax. We see some of this in philanthropic donations towards certain causes - a good proportion of which is cross-border - and this might grow stronger in the future, as people lose faith in governments and technology makes it easier for self-organisation and providing access to funds, amongst connected diasporas or people with common cause. The rise of civil society, resulting in governance outside of government, may be an interesting angle to explore, in addition to the idea of subsidiarity that the paper already seeks to cover. Looking forward to the project as it develops. A contributor has sent in a free-standing and useful paper on nuclear fusion, its potential, probability and impact. This has been set up as a separate paper. A contributor has sent in an excellent critique of this introductory paper, focused on social forces and values. As it is quite lengthy, this has also been set up as a separate text. Practically all your thinking leaves out two very important factors. The internet has given people almost instant access to what is going on around them. This has profound repercussions as to how they will react to dire circumstances. For example in Greece and now Spain, it is not only the rich that will move their money out of banks....larger numbers than generally predicted will do so with profound effects on the financial system and then the social system. Globalization will carry these effects everywhere. Thus the butterfly effect will be magnified to an unknowable degree. The ability of rogue states to profoundly affect the world's financial systems. Whilst there is a military danger in Iran's quest for an atomic weapon, the greater effect might well be in the disruption of oil and how $20 a gallon for gasoline might effect the economy of say California. As we saw with 9/11 the greatest effect was economic. Wars will be fought in two ways, the first in cyberspace and the second by picking very select targets that have the greatest financial effect unlike every war fought in the past which concentrated on territory and the destruction of armies. The first paragraph is a bit unfair, I think, as you have given a lot of stress on the capacity of people to bugger up the political debate, and there is a whole freestanding paper on the same issue. The question is not whether people by direct action, through markets or via media-catalysed debates can take action, but whether they can take action that does not lead to either paralysis or to bubbles and panics. I think this issue - volatility-proofing, if you like - is a really important scenario issue. On the second paragraph, the jiihadist model is now less to direct the attack on symbolic targets and more on bringing down the infrastructure, the softest element of which is "collaborator" elements such as the civil services - administrators, police, fire, even health. Most commentators are less set on rogue states - as these present clear targets and power structures - and tend to focus on the problem presented by smarter, non-statal movements that use terror as a means to multiply their political weight. These are often indistinguishable from criminals - Northern Mexico, for example, or disk drive encrypters and DoS extortionists - or from destructive hooligans, where the motive is to damage systems purely to show that they can, to count coup and to be able to boast to their peers. That these unfocused elements exist show what could occur should a coordinating element come into play. Terror that is used to further defined political ends has its useful limits, notably in societies in which the popular voice has some force. If you terrorise too much, you lose your political following. Ethnic terror may be different, and the reason why this is so is I think revealing. There is a dark state of mind into which humans can fall, This declares that another group, an economic or social situation, a way of behaving in religious practice, social behaviour, reproduction is so appalling that the causes must be extirpated, at whatever cost. If you believe that people who do not share your views are without value, then you may have no desire to change their minds, and be concerned merely to render them powerless or dead. Extreme ethnic terror is often aimed to extirpate or enslave the other group. Much the same is true in other domains. An extreme environmentalist may want 80% of the human race dead, and the rest living in subsistence conditions; a religious may want everyone bound to daily practice and the simple life of conformity; history shows us that this or that political system has blithely consigned the majority of their population to serfdom, or a minority to extinction. This state of mind is a huge threat when we think about modern technologies. These are vulnerable to attack by small, technically-trained groups, even by groups for hire. You can mount a denial of service attack on a web site of which you disapprove through third parties, whose botnets are available for hire for an hourly fee. These systems are also extremely vulnerable to misinformation: recall the impact of the alleged arithmetical errors Intel chip sales. Convince the world that this clearing system is unreliable, that food chain toxic and you have do do no more. I have no doubt that war can be fought against enemy systems. However, acts of war are acts of war, and call down responses that do not at all need to be discriminate and targeted. If they are not acts of war, then the attacked can simply sue, given suitable legal domain. What may become significant are deniable "incidents" - toxic wastes leaked onto a subway system, and the usual. A quick note to say that the interesting ideas referenced as Comment 4 and 5 find a resonance in reality in this Atlantic Review article. It notes the increasing use of micro-currencies. Heather Schlegel, an organizational futurist for SWIFT, the group that coordinates international transaction standards on behalf of the world's top banks in the world, believes that all of this innovation at the level of local communities is completely logical, and will likely increase in the years to come. Consumers, she suspects, are looking for a way to express more control over their local economies, rather than having the one massive, global economy expressing control over them. 'People want fast, free, secure transactions, and the dollar and euro are great at that,' she conceded. 'But what about supporting local communities or encouraging certain types of agriculture? You need innovation if you want those. That is why we are seeing so many examples of people trying new methods of payment'. What I am groping for is whether we are seeing a world in which state money and other currencies separate andgo their various ways - raising issues about tax, for example - or whether this is much more like micro-issuance of tradeable bonds. If the community wants a playground, they issue what is in effect an IOU to suppliers, who get paid in good things that the community can generate, denominated in that micro-currency. Sounds complicated to live with? It would have to hit a scale where a concrete supplier could buy things that his company wanted with the microcurrency: not jam or local sausages, but electricity, truck parts and so on. And deep down, unless you are in Greece or Zimbabwe, why would you want to do this? Added by Ed. Here is a PDF which describes not only how Cleveland has set up a micro-currency, but why and under what legal basis it has done this. The Federal Reserve even offers a guide on how to do it. The 'why', to me, nevertheless remains elusive. It follows that the development of "community monies" within low-inflation countries is mainly about tax evasion. The Henley-on-Thames pound is not really about local autonomy, it is a way for local residents to trade orchids for dog-walking services at a reliable relative price (almost certainly the same relative price as in the rest of the UK), without the tedious burdens of VAT and income tax. More on the London Brixton pound and microcurrencies here. A brief note to summarise the somewhat extreme views of Larry Kotlikoff and Scott Burns expressed in their 2012 book, The Clash of Generations. This is entirely US-centred, written in a light populist style and predicts a terminal crash for the US. So what else is new? The authors do, however, make some sound points. First, that the US has been running deficits ever since it became a major power. It has had only nine years of budget surplus since 1935: two at the turn of the century and the previous one in 1960. In seventy five years, the US has run deficits: that is, the state's income has been less than its expenditure, with the difference made up by borrowing. It cannot borrow from the American public, however, because private savings are at an all time low and personal non-property related debt is only beginning to recover from the excesses of the past two decades. Consequently, it has borrowed from abroad, with the dollar as the international fiat currency. That is, so long as the dollar is seen as being "as good as gold", the US can simply print more when it needs it. However, should that confidence falter, or should another currency - or a block of currencies - come to have a better or equivalent status, this has to end. Plainly, the Yuan is precisely such a threat. Indeed, the Euro could have been such a threat if its members had not succumbed to the same dynamic. Second, they emphasise the generational overhang in many spending commitments. The average citizen receives $30,000 in assorted welfare payments, a sum which is two thirds of per capita GDP, and set to rise to around 100% of it as demographic change hits. The authors estimate that the present value of anticipated welfare costs less projected tax take is around $210 trillion. Taxes would have to rise by 64% or spending fall by 40% in real terms to balance these figures. Government policies towards this are shaped by electoral needs, with both parties suggesting measures that will "pay for themselves": deficit spending to stimulate demand, tax cutting to stimulate entrepreurialism. These are lightly camouflaged appeals to their supporter base, not policies in any meaningful sense. The people who are going to be presented with these bills are the next generation. Clearly, an ageing population which hands over an enormous debt is an unwelcome heritage. However, perhaps the younger generation are in better shape than their parents? Alas, no: educational attainment has slipped against other nations, and the young US population do not score as particularly able or educated. Its elites are finely educated, its poor hardly better skilled than third world slum dwellers. Child poverty figures have remained largely static over time, from a 25% poverty rate in 1960 to a 20% rate today. Minority population rates are, however, up to 35%. This is down to a gross increase in inequality and to static wages and falling in the lowest deciles. Around thirty million children live in households that are classified as "deprived". The authors contend that there are three converging forces that will bring the US dominance to a halt. First, it has greatly over-extended itself on the back of its super-power status. If that is effectively challenged, its ability to finance itself from fiat money will end. Second, the commitments that have been made are unsupportable, and will lead to adversarial and chaotic politics as these issues become impossible to ignore. Whatever settlement arises, the young generation will have a major burden to carry. Third, the US population has been sorted into social blocks, some of which are internationally competitive but the majority of which are not. The authors note that wealth is extremely unequally shared amongst these blocks. They do not, however, propose redistributive policies that would create more a more effective response to these issues than the policies of the previous seventy years. They close on how n individual can guard themselves from the forthcoming collapse, and fail to reach a conclusion on that, either. It occurs to us that you should think perhaps around what happens if something occurs, not work out from the existing dynamics to predict for us what might occur. The Eurozone has fallen into a stable core around Germany. The core is doing quite well. There are affiliates which don't use the Euro directly, but try to link their currencies to it. Some are formally in the EU, others are favoured trading partners, like EFTA was. The affiliates supply a young labour pool, which means they are not Italy and so forth, but maybe more North Africa. Other nations like Ukraine, Turkey and Brazil are also affiliates because they have to choose between the Yuan and the Dollar otherwise and the Dollar doesn't look too good. So you get this new world pole. China has a big slow down for three reasons. Your point in the paper about unionisation is really cool, and you can kind of feel that happening. But second, you can get going on mass manufacture but you can never lead, and you are vulnerable to new cheaper countries coming in, like Indonesia. Korea and Taiwan both have had this happen, in this case by China. You can only go forward with much more complicated stuff, which needs work force that is smart. And smart means political, not people you can order about. Getting that to happen is going to cost China time and money. It's also going to have big political costs. And that's the third thing. China is going to have political change forced on it. It is too big to run from the centre, and is going to have to reform. But also if all these other pressures - from labour, from millions of clever people - will change it too. They can't just give big orders, they need to work micro-level to know what is needed and what works for the situation. So, if China goes down to 4-5% growth, then what? We really like the idea that countries become just one player, not the only players. We think this is already happening, but kind of hidden. The thing is that politicians say this to get elected but the know that they have to do that, and how do they know: because an elite tells them this. Sometimes it is the civil service, sometimes experts - but new French President has run into reality very fast. Suppose this comes out into the open? But what really focused us was this - suppose that it doesn't. Suppose that we go on with the same politics of the platform, ignoring anything the population do not immediately sense and feel, or can be made frighted about? We said about energy earlier. Everyone knows that we will be using mostly the same stuff in 2025. That makes the big reserve owners a big, big focus of attention. They get so much pressure they have to form a political block: not Caliphate, but more like a federation that is focused on external affairs. A kind of EU arrangement, but really strong because they are really rich. They manage oil and gas to get the best long run cash flow: not like old OPEC, but as thinking people. What they really do not want is climate messages or new technology. They don't like other producers much either, or oil companies. Suppose that this economic slow down is now a confidence thing, and not a strict "economic" thing. Companies everywhere have cash, investors have cash - there are no good programs to spend it on. If it gets right - if the Euro gets sorted out, if the US leadership looks realistic on economics once again - maybe we get a boom. Suppose we have a boom, what does that do to prices? Boom, inflation, slow down to quite fast growth, with everyone trying to get away from base manufacture and use high technology. You talk about warehoused ideas: yes! So what stops you WU happening? What else do we need? May be politics, like above. Maybe these could be like some of themes for the further development phase? To us we like very much the Comment 20. It touches us in our less-analytical hearts. We can build up to the sky complicated models analytic, but what comes forth is only paper and not the light. So, we are thinking on the same highway as Comment 20. So where we are driving on this highway? Yes, anyone can think of big things that are bad, and big, shiny nice things that are like an Easter present, very spectacular: Yes! We got Fusion. Oh Dear, we got a plague! Here we had the comet that killed all of the dinosaurs, so maybe we know about big shocks. But that sort of thing is not so useful here : we might all die of plague, but that is not a very useful scenario for the thinking. Countries they learn a new way to conduct the democracy. Already you have good paper about this, but the question is how we going to get there? We think maybe the countries that get there are the rich ones, but certainly, countries that don't get there don't stay rich. The democracy is like your two sea lions that are banging their heads together and shouting, all covered in blood. Instead of we making ourselves smarter, we just get louder. We are thinking that countries with economic problems are probably shouting, and those with the good growth are thinking themselves. The US gets going again and the dollar stays like a reserve currency. The debt it is bad, but you get maybe 2.5-3% growth. Europe is not so good, but you can see it is going to work out in the end. Asia stays strong but its big time of growth is now behind. It is like they say in Comment 20 about China, the challenges present themselves about inventing and making new things, not about copying and making manufacturing at the big scale. So it is a world of moderation, pretty scared still about the big collapse. Europe loses its experiment with the Euro and you perceive just a few countries that stay together in this. But those inside are much tighter, same economic systems and government, and they have complicated relations with those outside. The US looks tired and the dollar is not such a big currency. Asia is much slower, and also South America, because export demand is low. Energy and food attracts to itself a greater proportion of trade, although commodity prices are modest. There is a big environment problem that does not cure itself, and people wake themselves up that it should affect them directly, or maybe economically. It could be anything - rubbish tipping in the sea, maybe, or a disease from a chemical used in farming. Maybe it is oil that comes to scarcity or maybe food prices go very high. It really doesn't matter what problem it is, the idea is that the people they should feel fear and demand action. The environmental things that concern people are already all being done by government. The waste it disappears, the air is clean, everyone seems just as healthy as before. Scientists warn this and say that, but it all looks OK and people have other things to worry themselves. Some environmental change due to government talking to government. But no real popular surge, and much resistance if the cost is high. Figure showing issues from Comments 20 and 21, re-drawn by Ed. OK, you say, here they have done what I could do while showering myself. Is true, though, that none of these are silly, or are like you can just throw them out. So we have a piece of paper where we put all of the alternatives. Some go together, and others they go with others. Here - (above, Ed.) - is a picture of our piece of paper. OK, you say, they put all the good things in one corner and all the bad ones in the other. But, they stand together well like that. I like Comments 19 and 21 but I disagree that change comes from crisis. As a practicing politician, I hear what you say but I want to inject a note of practicality. A lot of discussion has been about the haves and the haves not, with an emphasis on jobs and incomes. Pretty much wherever you look in the advanced democracies, to find ten percent of the workforce unemployed - if you count non-claimants - five to ten percent in jail, a quarter underemployed and ten percent sick or disabled. So about a half of the potential workforce is not engaged in work. If you add the unpaid - those in training and higher education, carers, home makers, you go a lot further. So a half or less of these who could work, do work. My point is that you do not have blood on the streets as a result of this. For many, being in work is less a form of self-definition that it is a way of getting money. Every democracy works under circumstances that are a very long way from complete laisser faire. It keeps things tranquil. Of course you get some 'sea lion' behaviour from special interests when things are tranquil - that's how the press makes a living and what keeps us a visibly-open society. That is quite different from what happens when there are real, empty-stomach grievances in play. You may get change when people are at each others' throats, but it is seldom change that builds on what was there before, organic change. Instead, it is the imposition of the ideas of a minority on the nation as a whole. Thoughtful, "good" changes comes with the permission of the electorate, in periods of relative tranquillity, when the consensus is clear and policies can be developed with the certainty of continuity. In my career, I have seen us go from unity against an external threat though the dissent of Viet Nam and stagflation into a period which was dominated by 'an idea that worked', economic liberalisation. With the arrival of this idea, and with the collapse of the Soviets, political parties tended to provide packaged versions of this common outlook. Political horse trading about the details worked. That is not happening now. The main parties set out to obstruct one another, merely for the sake of doing so. One party has become dominated by its extremes, and its quiet voices are being picked off, one by one. It has many economic policies that do not make any sense at all. The other party is stuck in the past. Both have supporter groups who feel shut out from the 'national story', the useful myth that we have about who we Americans are and what we stand for. A significant fraction of the population have been ejected from participation in this national story. Take the very poor. Once, if you were poor, the national story told you that you could make good; and many, many people did this. That really does not seem to be happening any more. The poor settle down with very little contact with the rest of the country, and develop their own stories. But in addition, there is another group, which is made up from the shopkeepers and small businesses, small town industry, a group that has seen its world chewed up by huge corporations, by out-of-town malls and cheap imports. Both groups - the poor, the lower middle classes - are hurt and bewildered. I have heard many ask, what are they supposed to do now? Well, they all got along while they could borrow, and while their house kept rising in value. But then the abstract world of huge-scale commerce lost its way. Big business now sits on piles of money like a dragon, doing nothing except cutting its prices and threatening what is left of small town industry. The government is in huge debt, there are pensions to pay and everyone knows in their hearts, if it is not much said in public, that the welfare age is ended. People wonder what is next. It is not just that, however. The dragons contributed to the crisis in ways that many see as being predatory on people just like them - for example the mortgage crisis, banks foreclosing on small businesses. These were the same people who had previously pushed loans and mortgages on this group a decade earlier. Many who find themselves in this situation feel that the country had been invaded by an alien force, that they were no longer at home in their own nation. The very rich were not just an elite, they are "not a part of us", they were predators. People look at government to fix this, but it seems to be interested only in the big players, not in people like them. So, they take extreme views. This means that you have on the one hand the politicians of both parties; and on the other, represented by nobody, a significant block of the electorate who see politicians as representatives of the problem-makers, not as a part of the solution. Faced with this hostile and under-represented block, politics ceases to be a forum for ideas and instead communicates through bland, mechanical public relations. You can't afford to give the other guys handles to grasp, so you have to seem united around the party line, using prepackaged words and ideas. The upshot is that politicians are thought to be as self-interested, petty, the tools of interest groups - which, when the system is so polarised and mechanical, they indeed are. Moderation goes out of the window and sensible discussion becomes impossible. I am surprised that so little said about China, Maybe people are tired with Chinese people! But by 2020, China economy will be similar size to the US, although with many issues around exchange rates and purchasing parity. Here is a good article in Foreign Policy which reviews the big transitions for China to make. Lot of it is like Comment 20's ideas, but they do not see big slow down as China makes change. But must not forget that the China you see from outside is 200-300 million people, most living and working on coast, and lots more still poor and have a long way to go, So it is best to think of change wave, starting from coast and moving into interior. Good quote from article is "Despite years of breakneck building, China's stock of fixed capital -- the total value of infrastructure, housing, and industrial plants -- is not all that large relative to either the economy or the population." So we are going to see established places moving on to sophisticated new things, rural places maybe continuing with roll-out of modernity. Many have said China has property bubble like US. Article also say that no real housing boom problem in China. "Nearly one-third of China's 225 million urban households live in a dwelling without its own kitchen or toilet. That's like the entire country of Indonesia living in factory dormitories, temporary shelters on construction sites, basement air-raid shelters, or shanties on city outskirts. Over the next two decades, if present trends continue, another 300 million people -- equivalent to nearly the entire population of the United States -- will move from the countryside to China's cities." So problem maybe not enough building, not too much building. I am not going to talk politics. But article says "A 2010 study by Chinese economist Wang Xiaolu found that the top 2 percent of households earned a staggering 35 percent of national urban income. A handful of giant state firms, secure in monopoly positions and flush with cheap loans from state banks, has almost unlimited access to moneymaking opportunities." Maybe all the world the same? DARPA will pay for the creation of new specialised TechShops. The $3.5 million deal includes 2,000 TechShop memberships for military veterans, and will have DARPA employees performing top secret work at night. The project is called iFab. For a month, a given factory might use dozens of machines to make parts for helicopters. Then you reboot the software controlling the machines, and out come the parts for the drive train system in a tank. The DARPA workers at TechShop will try to figure out which tools and methods can be used to rewire factories in this fashion. You can think of TechShop like a fitness club, but with tools and equipment instead of exercise equipment. It is sort of like a Kinko's for makers, or a Xerox PARC for the rest of us. TechShop is designed for everyone, regardless of their skill level. TechShop is perfect for inventors, makers, hackers, tinkerers, artists, roboteers, families, entrepreneurs, youth groups. Added in response by another member. Nanofabrication is the Grail. You can tell an inert lump and some self-reproducing agents to turn itself into whatever you can program for. Likely reality is going to be small but not nano-devices. In the 1950s, Von Neumann thought about building an "anything factory" on the Moon, based on brick-sized robots that could build more of their own kind. Today, we can think of millimetre-sized objects. This has led me to a conjecture. If it is possible to build small engines that can build bigger engines, then this is clearly how inter-stellar exploration can be made to work. If you are an intelligent race and interested in the rest of the universe, you would use this technology. Consider extremely robust "seeds", objects that could be accelerated to enormous velocities before being dispatched, in titanic numbers, automatically manufactured in their in trillions. They would be aimed to impact into the universal Oort cloud of water and methane ice that revolves around any system capable of supporting life. Once impacted, the seed unwraps itself and carries out two tasks. One is to survey and report back. The other is to build a seed manufacturing plant and a launcher, and to repeat the process. Simple calculation shows that, under worste case conditions, such a system would seed the entire galaxy in a paltry 50-100 million years. In other worlds, if it can be done - if there is intelligent life in the Universe, if this kind of technology is possible - then it has long ago been done, and they are already watching us. Not maybe, but for sure. I just saw the aliens-are-here comment, and the self-replication ideas brought together something that nagged at me when I read the paper first. Sorry for lurking so long. My chief question is how do we get to a Waking Up world. What is involved? Let's start from miles off target. Ecologists have the notion of R and K ecological styles. R types are mainstream, occupying the big, fertile niches. They live close to system carrying capacity. They tend to invest a great deal of time and energy on their offspring. Humans are an excellent example of this. K styles are opportunist and tend to fill niches as they exist - a patch of exposed soil, a seasonal pond. They distribute immense quantities of their offspring, in the hope that just one or two will find a niche and survive. A mushroom, releasing billions of spores, is a good example of the K strategy. Or a mosquito. K styles never nurture their offspring. R types are suited to stable environments, K types to erratic or cyclical ones. Let's translate that into risk strategies. As an economy or society - and thinking now not as an individual or company - R systems tend to yield the best returns when things are stable, whilst K structures fit well into turbulence. R systems are intended to optimise, K to adapt and to survive. R systems like to reserve - established companies, jobs, ecologies. K systems take what is there and reconfigure it into something else. Our advanced economies mix the two styles; but virtually all wealth comes from R-optimised structures. These are built up slowly and thoughtfully, tending to grow as much by aggregation - acquisition, merger - as by "reproduction". They are usually heavily effected by economies of scale, and the standard feedback mechanisms of competition ensure that winners do well and losers get eaten. Gigantism is a necessary outcome of the R style, unless checked. Most dinosaurs were R types, tending carefully their few young, offspring that were born large from an egg into which the parents had poured resources. Familiar? The R style naturally adopts organising structures that are universal and designed to keep things stable. When command and control is possible, they tend to form packs, herds, societies with cities and governments. Control tends to be centralised and hierarchical: the bull, the board, the King. And the general. It is easy to see that military efficiency has to be traded against vulnerability. Extremely efficient and centralised systems can be decapitated or neutralised: one cannon ball through the Emperor's tent and the battle is over. More generally, highly centralised R systems developed socially isolated command systems that access a poor subset of the available information. There are, of course, ignoble motives to filter out discordant messages. However, we know very well that there is a strong interpretational bias in any closed group. We tend to see the world as we would like it to be. The core tends to take its information from anointed sources, and from its peer group. Wall Street Journal, anyone? Fox? The consequence is group-think, and the isolation of the group from realities. Centralisation is efficient, but it comes at the cost of poor data interpretation and low resilience. Similar issues occur in all manner of networks. The most efficient network is, of course, the dedicated connection; where A talks to B on a fixed line, and to C on another, physically separate link. Such networks characterised early telephones, were replaced by operator exchanges, then by user-dialled exchanges and now by multilayer protocols which spray packets every which way, depending on the network status. It turns out that natural systems are generally unlike anything except the multilayer protocol, but with important differences. What emerges from all studies of natural and engineered networks are two universal facts. First, that complex networks that are not self-adjusting run into immediate and limiting issues of scale - they quickly become immensely complex and unmanageable. To prevent this, there need to be centres that are embedded within the network, that adjust their connectivity to prevalent flows and demand. This is designed into engineered systems, and I will talk about the implications of that in a moment. In natural systems and human networks, however, this load management (and learning, and behaviour adaptation) comes from the near-universality of what are called "weak links". This means that parts of a network are connected to, but usually do not affect, a great number of other parts. When a need to connect arises, the weak link becomes either the conduit, or else the means to manage flows through other conduits. To stop this system from locking up as a result of frantic over-connection, structures such as nervous systems and gene networks hold these weak links held at low levels of excitability. Critically, it is semi-random noise which kicks individual links up, nearer to the threshold and, if the demand is there, over it. Going over the threshold does not immediately create a connection, but it "warms up" the link so that the next time it will need less noise to perform its check. This amount to polling the system regularly, asking "connect up?" and answering "yes" only if the demand is there sufficiently often. Experimentally, if you add to or remove random noise from a lobster's nervous system, it learns better or worse, with there being an optimum level of chatter in the system. What does this tell us? That if complicated networks are going to work well, two separate things have to be true. They need a subsidiary system of load-balancing built into them. However, this is not a static thing, as they need to contain a great number of tenuous links - far more than rational information or work flows would suggest - to which frequent quasi-random stimulus is given. One can easily see the equivalent of this in social systems - the lively coffee room, in which researchers swap ideas and make safe mistakes, or in the chat that goes on between venture capital companies about people, ideas, technologies. But there has to be the specialisation and find in the 'right level' subsidiarity of authority and decision-taking, as well as the chatter. The second issue is that optimal performance within a network implies a trade-off between risk (of disruption or congestion) and efficiency. The prevailing mythos of the 1990 company was the whole re-engineering, accountability, silo shtick. The resulting network was designed to connect A to B and never to C. It was a reversion to the pre-exchange telephone. It actively crushed weak networks and asked random noise for its KPIs. It went for gigantism and the monolithic output, whether frozen by TQM or demanded by the contractual relations in the outsourcing chain. So: pure R, with no K. Indeed, the advanced economies were avid to crush the K style. In Britain, quarter of a million small grocery shops disappeared in the 1980s, being replaced by eight or so major chains. High streets became drearily uniform as this spread to all retail forms. In the US, the mall squatted like an alien space-craft on every town, shading out small businesses. Those that survived became TQM slaves, feeding supply chains of mega-industry. Well, we paid the price. The system was critically weak in one element, and that has flowed into all of the others. Banking suffered precisely the same issues as the Imperial army and the cannon ball: an isolated in-group, fascination with its own tools and techniques, bland filtration negative signals, ultimate decapitation. At the national scale, e all have a vague feeling that the EM giants - China, India et seq. - are too big to be manageable in the long run. Indeed, very much smaller entities are becoming ungovernable, as the main text shows. Yet we will have to somehow "manage" humanity, on some issues and at some level. The network model leads us directly to the concept of subsidiarity. Managing or governing at many levels, along great tree branches of interest and geography, implies lower efficiency. Lower, though, in the short run, but with the prize of great stability, and with the certainty of greater efficiency in the long run. Anything is preferable to a giant structure locked up by its own internal incomprehension of its situation and potential. That said, a truly subsidiary China, however arranged in such tiers and branches, however unified by a matrix structure inside this, can be only half of the story. For this is merely R, rethought for scale. The missing elements are the weak links that are able to self-assemble, the random noise that is required for this to happen. Venture people say to me that "here in California we had guys with crazy ideas coming in every day, but now it's all IPO, MBO, more of the same stuff." Why? Because, from memory of the conversation: "The electronics industry has maybe got too complex for the garage phase - if that ever existed - and people come to innovation with a solid corporate background. They may dress in jeans, but they think like CPAs ('Accountants' - Ed.) They all have MBAs. They're kind of dull." So your Waking Up world has to have both of these features prominent in it. It is going beyond - not abandoning, transcending - the monolith. We are not going back to a world of little firms and tiny shops - unless, that is, we can supply them just like a supermarket or mall. Really, what we need is the big stuff that can be switched around on call by "Little Stuff". Little Stuff does the adapting and specifying, Big Stuff does the making of it. So, the over-view is that Waking Up is consciously designing things to interact and work at all sorts of levels of scale, in part-autonomy, part tight awareness of the system. It provides the means to coordinate and manage these levels. It sets out to build up links - really, this scenario exercise is exactly that sort of thing in practice, and very useful - and it lets those links resonate with a lots of relevant, tuned noise. 'Tuned' and 'relevant' both imply intuition about the goals and values of the entity being so stimulated. The stimulus is sometimes cacophonous, sometimes unwelcome, but sometimes the hand clap of illumination. That's WU. Yowser, Comment 25. Just a thought here. K-types have billions of offspring. Rs have a few - I can think of chiclids that raise and tend about twenty, scorpions and spiders that carry around maybe twice that, but my point is that there is nothing in the middle. Nothing whatsoever in nature sort of cares for a few hundred offspring. Is there a message that you can be one or the other, but not both? How does that play with your hybrid model for WU? Way up there (Comment 7 - Ed.) someone talks about lots of countries being within transnational groups, being nations, also federations of states, having state governors and city mayors, and so on. We are kind of so subsidiary now, with perhaps too much of a waist line at the national level. His point is that the restaurant industry is (a) diverse, so K and not R, pumping out new eateries as old one fold, and (b) not systems critical. I think (b) is what matters, We need a non-systems critical e.g. energy, banking, transport, health industry; and the same on the public sector side. All of these are pretty R-monolithic except transport, which is really very K.
So is this a feature of the WU system, and how can we make this true? How do we make health more like trucking and less like a godchild of the Soviet Union? Maybe by, as you suggest, separating out the "doing" - cheque clearing, treasury functions - from the specifying. But then you get predatory herds of specifiers. So, I like what you say but there seems to be a regulatory (or some such?) gap in it. I go back to my beginning. The middle ground is also problematic - perhaps we need to encourage more nurture amongst the K organisations, or provide systems to support them in some way. The note about SMEs sharing a currency in Switzerland seems to be the kind of thing that we are looking for, but much extended. Maybe that's back to your model of 'specifiers' and 'do-ers': that the support consists of the underlying, hidden "do-er" elements, such as keeping small shops stocked as they want to be stocked, not as some franchise holder sees fit to impose. Maybe we should ask ourselves about the new K support infrastructure, as essential to the WU world as electricity or running water is to us. It is good to see people taking science seriously. You have talked lots about getting people engaged with policy. The two assumptions are that you get legitimacy and you get better policy. I would say that legitimacy "all depends" on the situation. When you get to the issue of better policy through crowd-sourcing, you get into some interesting science. I am citing Korat AAAS Science 336 20 April 2012 pp 360-361. We know that most people align themselves with opinions that are expressed with confidence. We also know that the tend to take the average, so their choice is the mean of the views they hear, weighted for the confidence with which they are expressed. Groups make up their minds as one view becomes less confident and is quenched by the other - I think the main paper here calls this the emergence of the group "narrative". However, we also know that people are generically very overconfident about the accuracy of their judgment. What Koriat finds is that individuals do better in tasks if the confident view happens also to be the right one. If the experimenter selects subjects for which the average answer is usually wrong - for example, most individuals will say that the capital of Switzerland is Zurich, and not the correct answer, which is Bern - then the performance is much worse than averagely bad: everyone swings to the wrong answer. The experiment shows that if the crowd is right, it will tend to get both more confident and more averagely correct. If it is wrong, the opposite will occur: a crowd that is both incorrect and confident. Of course, where what constitutes correctness is not clear - if we really do not know the best way to teach children to read, for example - then crowds will break into two opposing groups, both highly confident and both calibrating the range of their beliefs chiefly against those of the other group. Swift talked about Little-enders and Big-enders - groups politically polarised around the question of which end of a boiled egg to cut - and he exactly caught the dynamic. Point: group participation leads to enthusiasm but not necessarily to light. One citation that i particularly liked was the discovery that brainstorming groups do significantly worse than informed individuals, and that the art of innovation is to know when to drift in or out of individual and collective thought. Kerr Ann. Rev. Psychol. 55 623 (2004). Think of all the time you have wasted on these ghastly events! The Swiss management school IMD releases annual competitiveness assessments, based on over 300 variables. The OECD has just released a survey of world attitudes, and the World Economic Forum has released international surveys of social content. This gives us a lot of data, and finding the interesting bits is quite engaging. 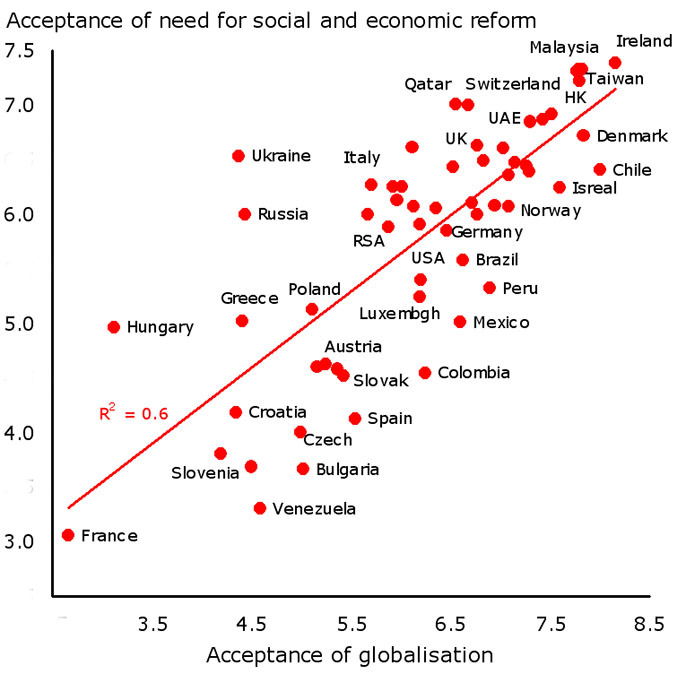 The figure shows the relationship between the way that countries embrace internationalism and the degree to which they accept the need for social and economic change. As you can see, the relationship is strong. France sits at the bottom of the ranking, as the least flexible in this regard and, surprisingly, Ireland is the most flexible. When you combine the data as indicated, a number of clusters emerge around the principle dimensions of "contentment" and "competitiveness". The two qualities are closely correlated, so that economically prosperous countries are happy with life. However, a group stand out, for which happiness transcends income: Denmark, Switzerland, Iceland, Canada, Finland, Austria, and Luxembourg. These may have a recipe that we should examine with more care? Iceland is a particular surprise, given its economic catastrophe. Countries which are content but both markedly uncompetitive and not inclined to anything about this are Colombia, Argentina, and Venezuela. Unhappy countries which have improved their position - who are the polar opposite to these - are Russia, Estonia, Lithuania, Ukraine, and Bulgaria.